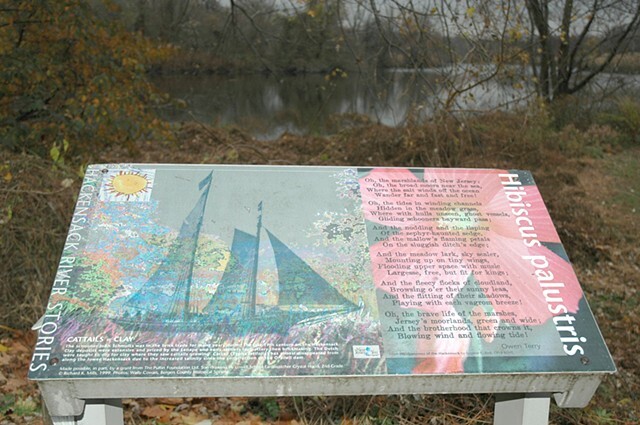 Environmental art signworks specific to the Hackensack River Valley. 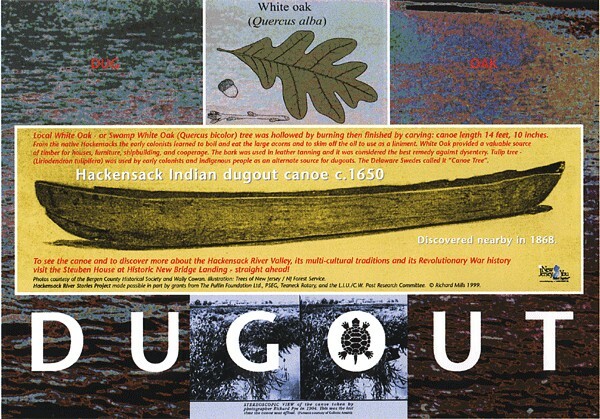 21 digitally printed signs containing visual artifacts and text along the 3.5 mile Hackensack River Greenway through Teaneck, New Jersey and at Mill Creek in Secaucus, NJ that reflect the multi-layered cultural and environmental histories of the river corridor. Pictures include historic photographs, postcards and engravings of sites, views and structures now altered or lost, artifacts in collections, children’s drawings, old maps, composited atlases and satellite images. 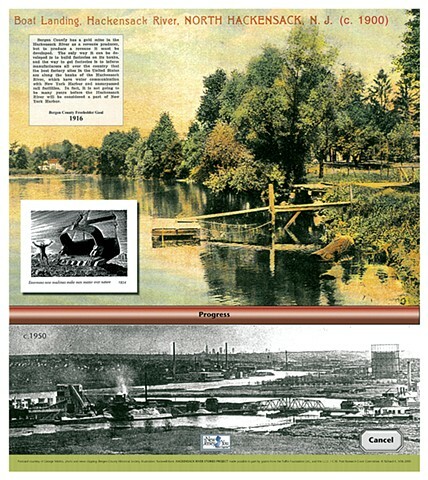 Text includes single word poems and poetry, newspaper articles, oral histories, toponyms, quotations, stories, and environmental, cultural and historical information. The overall tone is elegiac. The evocation of narrative networks of ecological loss and restoration, cultural history and memory will contribute to our community’s awareness of a sense of place, the importance of this landscape and to our constructive participation in the shaping of its present and future course through continued questioning of contemporary narratives. natural feature and serving as connector across time and between various geographic, biologic and political communities is well suited to narrative. 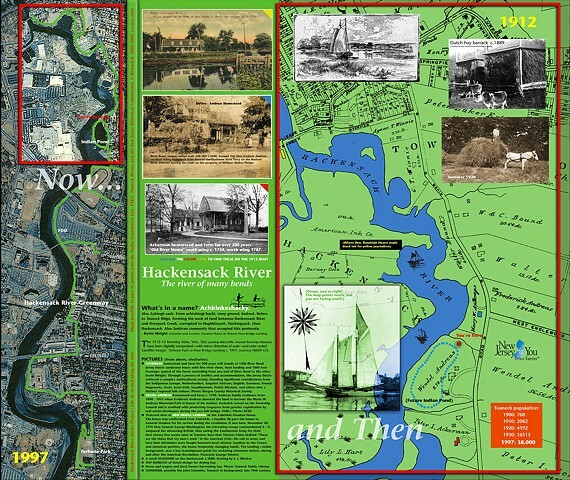 The reading of this Hackensack River landscape produces many meanings. 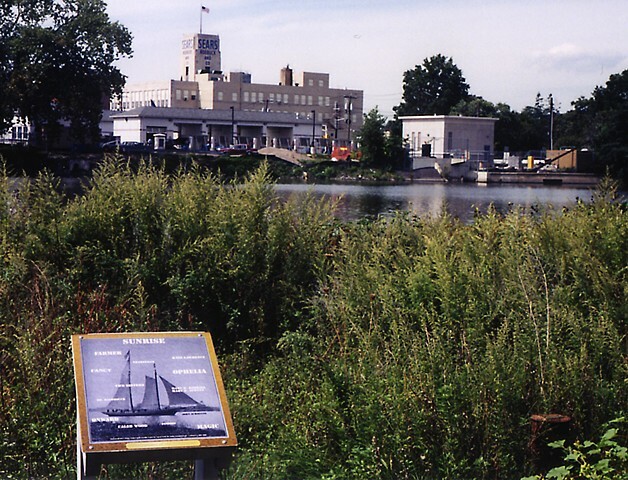 Cultural geographer D.W. Meinig sees “landscape as nature, habitat, artifact, system, problem, wealth, ideology, history, place and aesthetic.” The Hackensack River, its riparian ecosystem and historic associations, once central to our community, can again be a source for enjoyment and pride. 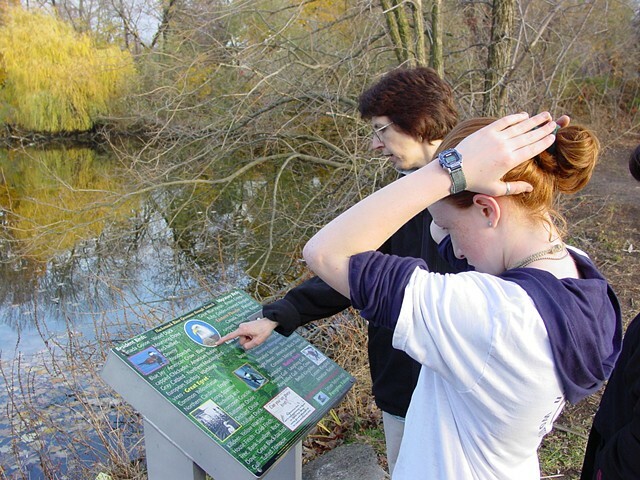 These signs are designed not to state a definitive history but to provide the opportunity for imaginative discourse in our relationship with nature; to be aware of the power to act responsibly and creatively in our environment. 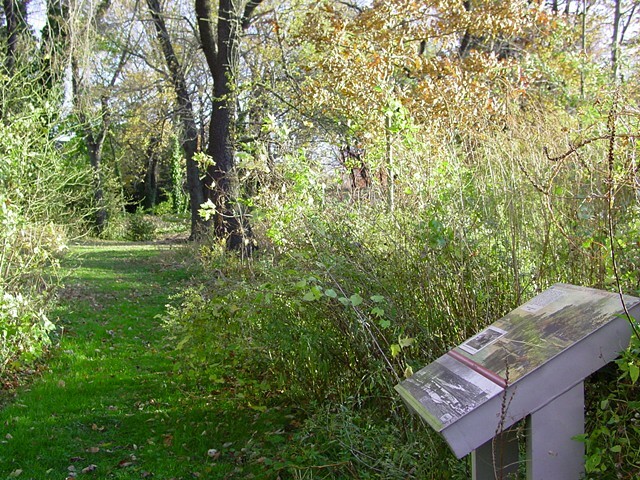 The diversity of historic, cultural and biologic associations with this place is an apt metaphor for our contemporary understanding of diversity as a key ingredient in the health of ecologic and political systems. As an artist, I attempt to make the invisible visible. As a community artist engaged in a public work, I gather, listen and reflect back stories I discover. 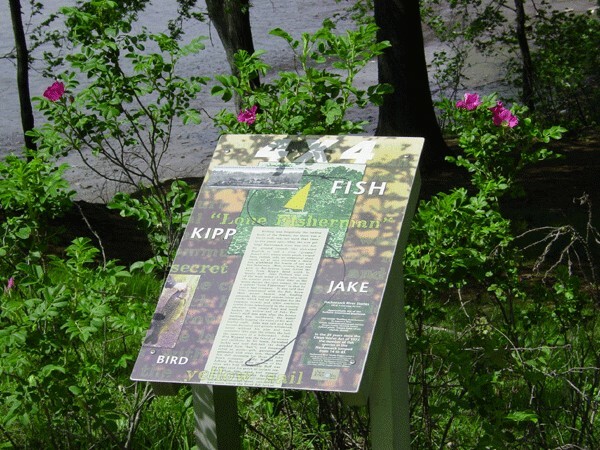 I am collaborating with many storytellers past and present who love this river: local anglers and boaters, biologists and botanists, gardeners and naturalists, hikers, historians, students, teachers and residents. 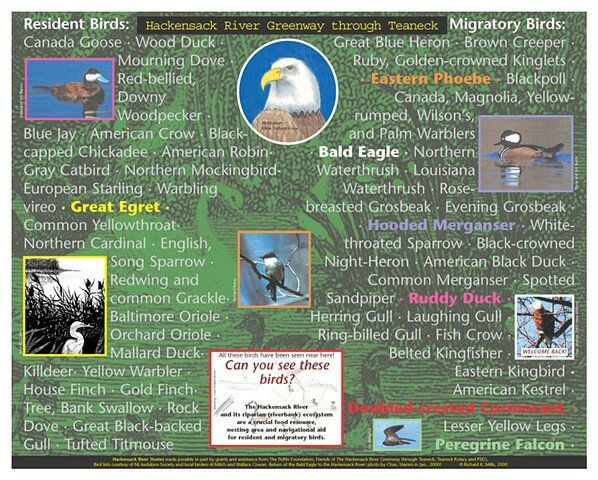 This work was made possible, in part by grants from the Puffin Foundation Ltd., Teaneck Rotary, NJ Historical Commission, L.I.U./C.W. Post Research Grant Committee, and NJ Dept. of Commerce and Economic Development. 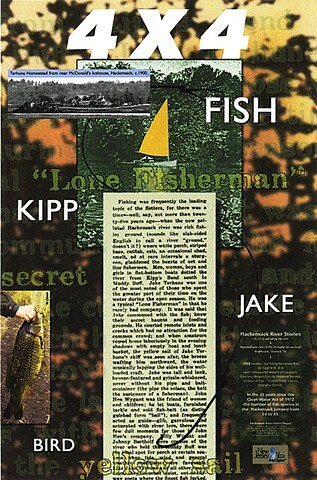 This work was the subject of an exhibition at the Fairleigh Dickinson University College Art Gallery, University Hall, Teaneck campus, May 7 – June 2, 2000. 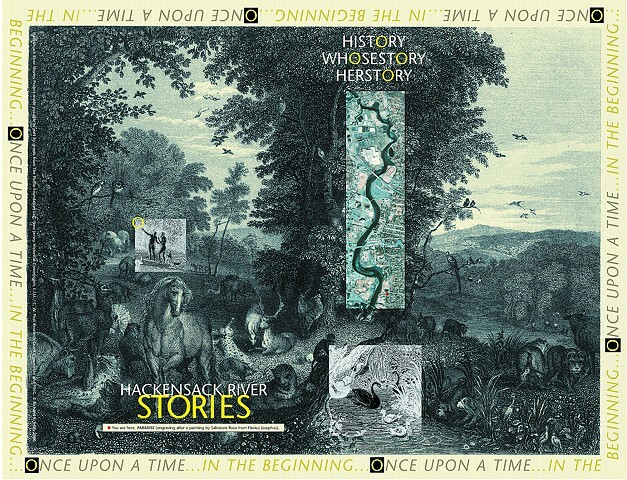 Hackensack River Stories won the Clearwater Award from The Waterfront Center of Washington, DC, Hackensack Riverkeeper's Friend of the Hackensack Award, citations from the NJ Legislature, and the U.S. House of Representatives. 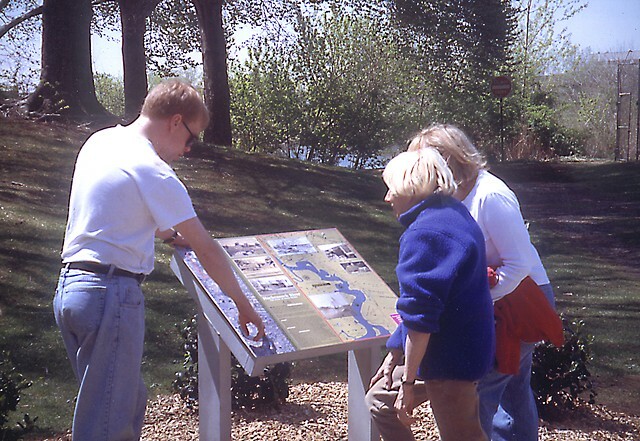 Work from the project was included in Ronald Lee Fleming's 2007 book The Art of Placemaking: Interpreting Community through Public Art and Urban Design. 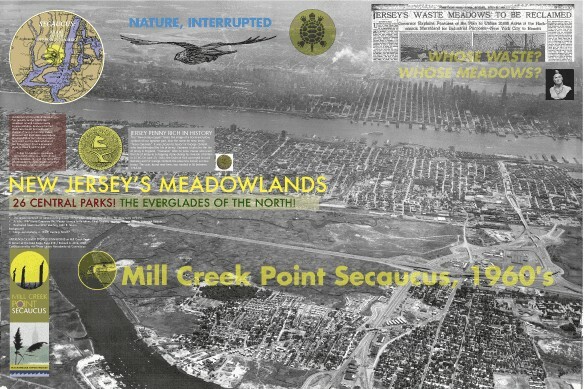 Additional signworks were commissioned by the NJ Meadowlands Commission for Mill Creek Point in Secaucus.